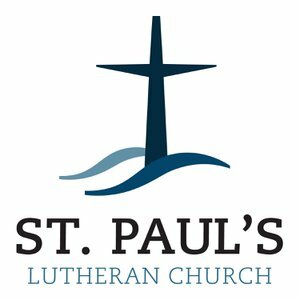 St. Paul's is a member of a much larger group of churches called the Evangelical Lutheran Church in America. 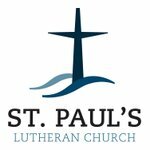 We are proudly Lutheran in our beliefs and in our understanding of who God is and who we are in relationship to God. We confess the Triune God -- Father, Son, and Holy Spirit. We proclaim Jesus Christ as Lord and Savior. In our preaching and teaching, we trust the Gospel as the power of God for the salvation of all who believe. What we believe and teach serves the proclamation and ministry of this faith. We do not have an answer for all questions, not even all religious questions, but what we believe prepares us to be witnesses in speech and in action of God's rich mercy in Jesus Christ. Our confession of faith identifies the Scriptures of the Old and New Testaments; the Apostles', Nicene, and Athanasian Creeds; and the Lutheran confessional writings in the Book of Concord as the basis for our teaching. Every pastor in our church makes a promise to preach and teach in accordance with these sources. Every Sunday in worship, we hear God's word from the Scriptures, pray as Jesus taught, and come to the Lord's Table expecting to receive the mercies that God promises. Throughout the week, we continue to live by faith, serving others freely and generously in all we do because we trust God's promises in the Gospel. This faith saturates all of our lives. The Holy Spirit uses all we do to create, strengthen, and sustain faith in Jesus Christ and the life we have in him. That life-giving work continues every day, as Martin Luther explained in the Small Catechism: the Holy Spirit "calls, gathers, enlightens, and sanctifies the whole Christian church on earth and preserves it in union with Jesus Christ in the one true faith."